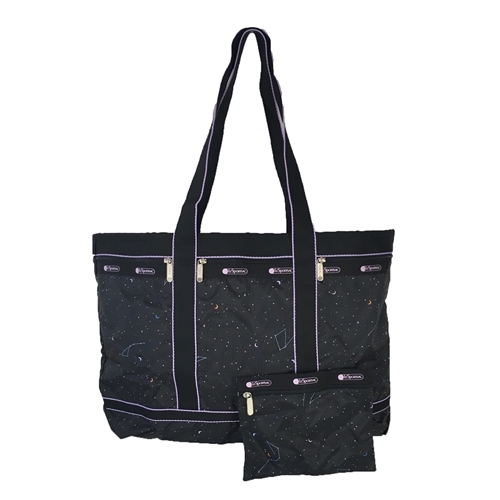 Carry your travel or overnight essentials comfortably and stylishly in the LeSportsac Travel Tote in the cosmic Celestial print. 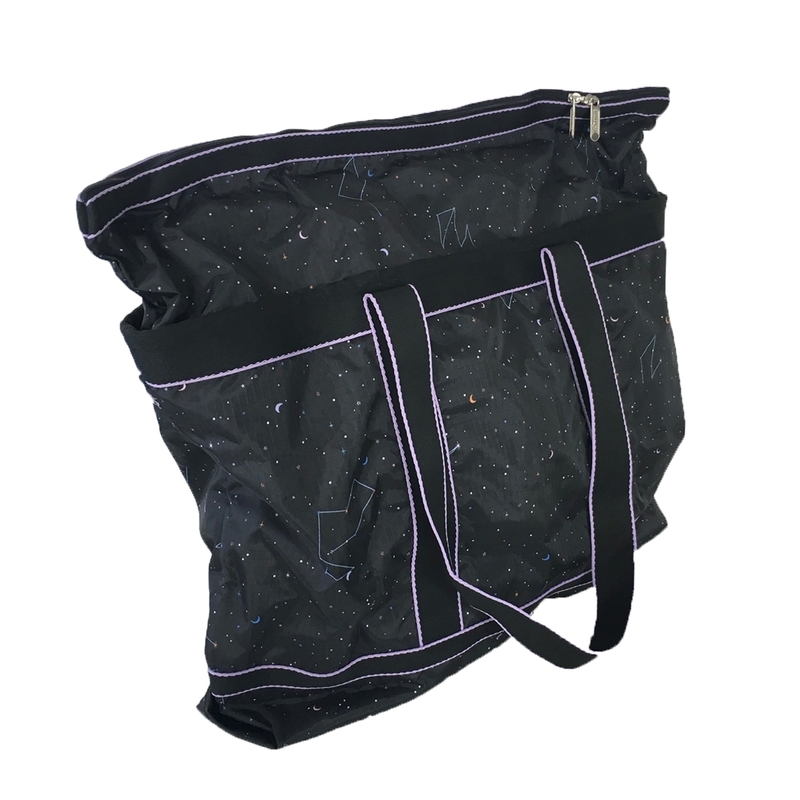 This roomy, water-resistant nylon tote boasts an expansive zippered compartment which neatly stows your shoes, clothing, books, reading materials, laptop, toiletries, cosmetics, and anything else you need to travel throughout the day or overnight. Large travel tote made of printed ripstop nylon with canvas webbing trim. Three front zipper pockets Matching zipper cosmetic pouch. Expandable top to 4". Top Handles. Lockable double zipper top closure. 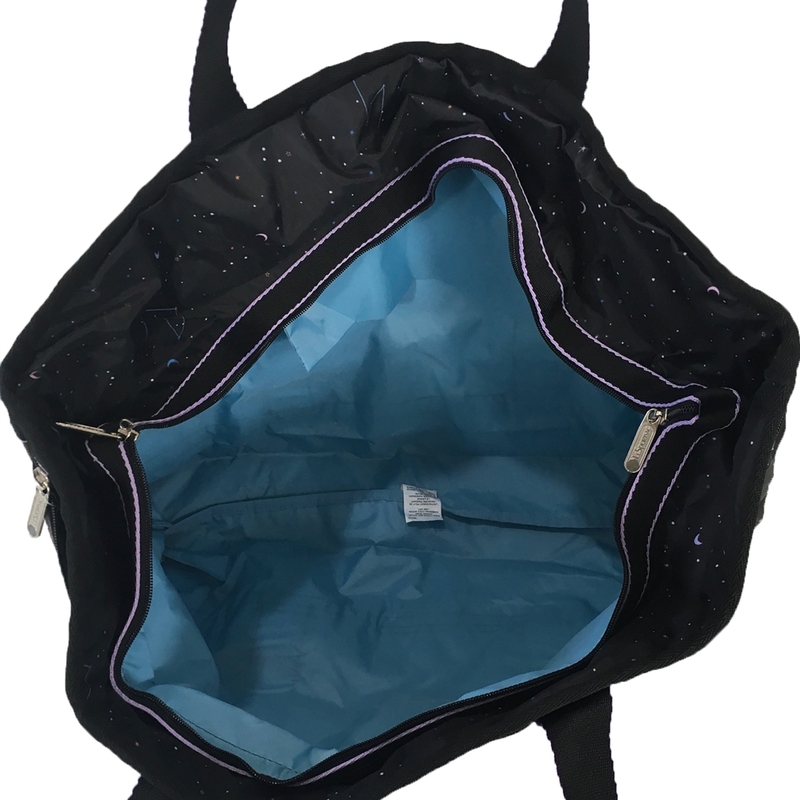 Interior back wall zipper pocket.